Chicago tends to attract many young educated Michigan transplants these days; I’ve certainly lost a few friends to the “Windy City.” Some have left right after high school, others after college and some while switching schools. Michigan has a number of well respected colleges, but due to the lack of job opportunities after graduation here in the mitten our newly graduated young minds pack up their belongings and head off to other cities. These cities more often than not are where there is a better opportunity to grow and flourish in their respected fields or paths. Although I still feel like our metro Detroit area has a lot to offer I can’t blame them for leaving and have even thought about it myself. I just hope one day that trend changes and we as a state can retain our young talented graduates and even attract others from around the country and even the globe to setup shop in Metro Detroit. I could probably expand upon this topic but instead I’m going to take it in a different direction. The relevance for this post in my earlier rant is that there is a high numbers of Michigan transplants who are living in other cities. As groups of people from a certain area leave and begin to re-cluster in another region, it opens the door for certain businesses to expand. This is particularly true for restaurants that focus on a local dish that is often imitated but never truly replicated. I’ve been lucky enough to travel around the country and it always seems like the people I visit from Michigan are always craving certain things from home that aren’t available in their area and if they are available the quality just doesn’t meet their expectations. 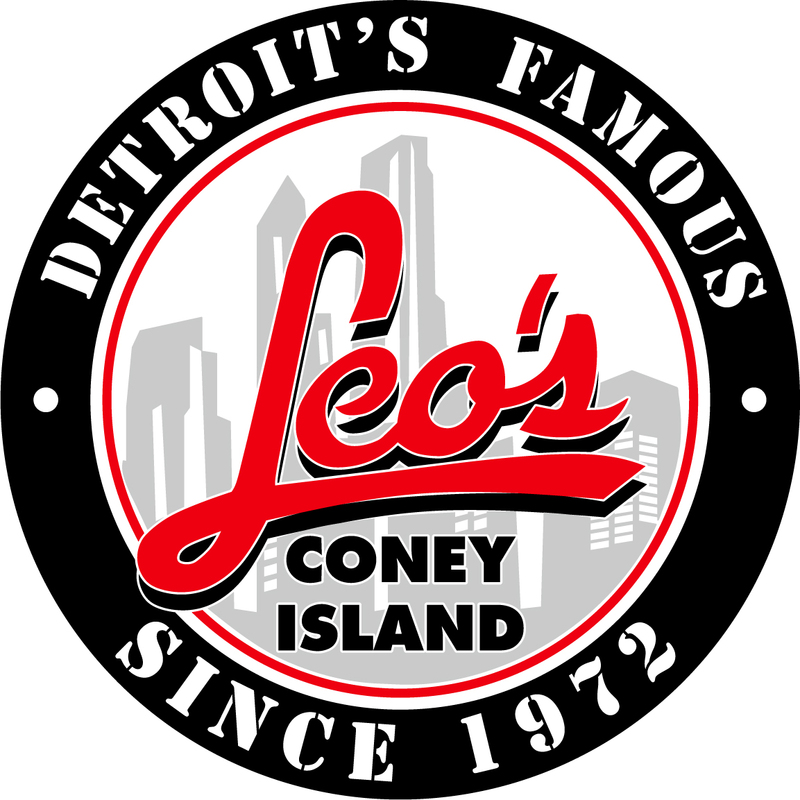 Well, that void seems to have been filled for those of you Michiganders that have made Chicago your new home with the addition of a Leo’s Coney Island. I can’t remember exactly when I drove by the “Coming Soon” sign, it seems like its been over a year, but as we passed it while getting a cab back to my friends apartment I knew it would probably be a home run for whoever was behind it. It was dubbed “Chicago’s first coney” and touted its simple web address leoschicago.com. Having been open for nearly seven months, Leo’s is providing a product that seems to have been in high demand, according to reports, that the restaurant has turned into one of the chains top-five performers. The Internet has also helped make products that were once only sold locally become widely available to anyone in almost any location. 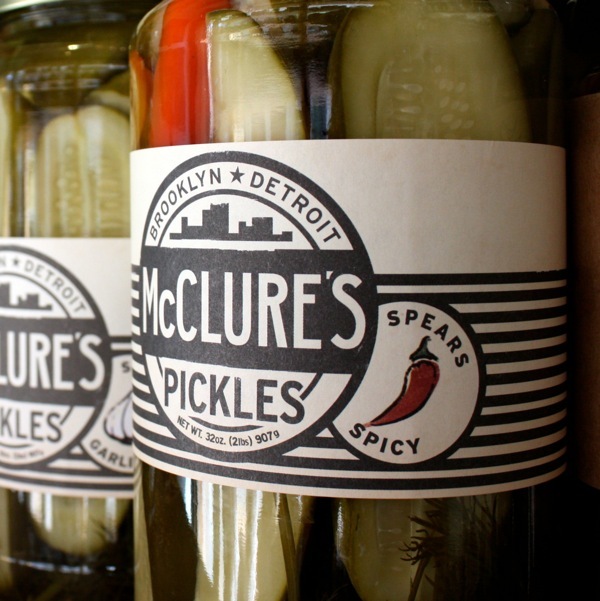 With a few clicks you can have a box shipped to you with McClure’s Pickles or a National Coney Island Coney Kit or Morley Candy. By the way of franchising, Michigan-based pizza companies have been able to expand significantly across our nation and even into other countries. 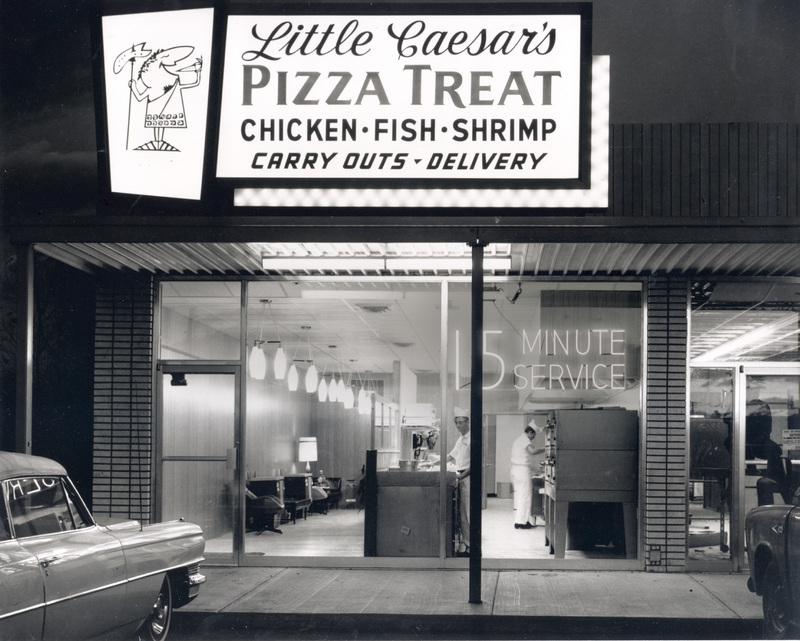 Mike Ilitch, owner of Little Caesars (among other things, see the last post by Mr. Fossano), started with a single pizzeria in Garden City and now is estimated to be one of the largest pizza chains in the world with locations in over 25 countries. Not far from Detroit, in Ann Arbor, another pizza giant calls home. Domino’s Pizza, started by Tom Monaghan (linked to Ilitch by way of the Detroit Tigers), has also established an international presence. If you’re craving Domino’s on vacation in Indonesia, fear not. 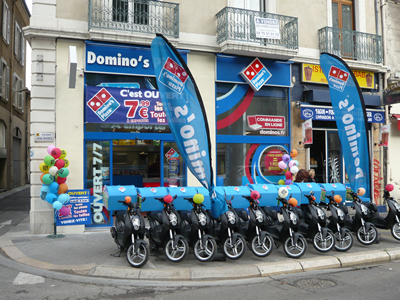 If you’re running with the bulls in Spain, victory dinner at Domino’s can be arranged. Wouldn’t be my first choice. Truthfully, I wouldn’t even think about buying it at all. But there are people who just don’t like change in their lives. Then again these people probably aren’t traveling to Indonesia or Spain. With all that being said I’m a little indifferent with how I feel about the access we have to things. The idea that you can purchase a Little Caesars or Domino’s pie anywhere doesn’t bother me, but when you start gaining access to more exclusive or smaller operations it sort of takes away that items appeal. Having to travel home for something makes it more desirable or special. You can’t have it all the time. It can’t be shipped. The owners aren’t expanding. It can become an icon for a city (Geno’s Steaks in Philly, Primanti Bros. Sandwiches in Pittsburgh, Chicago deep dish) and a can’t-miss opportunity for out-of-towners. I crave Lafayette Coney Island more because I have to drive to downtown Detroit to get it. It has no website or satellite locations, unlike its neighbor. Bad business move? You could argue. More unique? I think so. 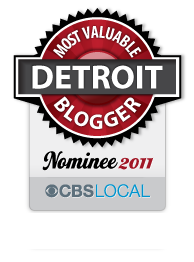 This entry was posted in Detroit, Things To Do and tagged chicago, chicago coney, chicago deep dish, cities, college, detroit, detroit tigers, domino's pizza, downtown, garden city, geno's steaks, graduates, indonesia, international, lafayette coney island, leo's coney island, little caesars, living in other cities, mcclure's pickles, Michigan, morley candy, national coney island, pizza, primanti brothers, spain, travel, university, urban, windy city. Bookmark the permalink. With all due respect, if you’re craving Domino’s pizza on vacation in Indonesia or while running with the bulls in Spain, you need your head examined. I totally agree with you, Mary. I tried to clear up any confusion that I would be actively searching for a Domino’s while traveling abroad. Having said that, I do know some people who might.